I'm in the process of (re)designing the MBA elective I'll be teaching in the third term of this academic year ("Trinity term" in Oxford speak). 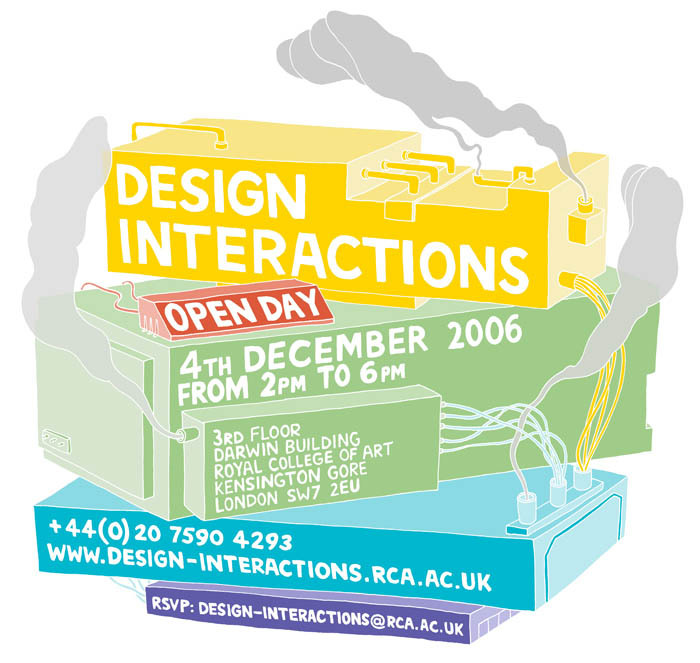 Like last year, this will include a three-week project working with MA design students from the Royal College of Art, London. To discuss this I met up with Tony Dunne, professor and head of the Design Interactions department, and tutor Nina Pope, with whom I used to lead a unit (or "platform", in design school speak) in the same department. (Anyone interested in taking that MA might want to attend their open day next week - see the poster on the side.) 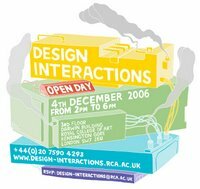 We'll also be working again with tutor Noam Toran and MA Design Products students. I'm grateful for some feedback from some of last year's MBA students who have helped me understand their goals in taking the elective. In terms of the formalized bodies of knowledge taught within the MBA, Design Leadership is perhaps best thought of as a boundary-spanning way of thinking that connects with the business disciplines of strategy; operations management; marketing; and innovation studies; and necessarily must also relate to finance and accounting. Last year, students taking my elective also took some of the specialist Marketing, Culture and Society electives offered by Doug Holt and colleagues, Victor Seidel's elective in Entrepreneurship and Technology Ventures; and Victor and Marc Ventresca's Technology and Innovation Strategy elective, and Charlie Leadbeater's elective in Social Entrepreneurship. Key to my elective are these ideas: the differences between design management and design leadership; understanding non-designers' impact on design in organizations - what is known as "silent design"; and knowledge and understanding of design practices, design methods and what is often called "design thinking". These ideas are underpinned by a pedagogical approach which involves project-based learning as well as more traditional lectures and seminars, and in particular the experience of learning by working directly with designers. It also explores the need for entrepeneurs and managers to tolerate ambiguity, develop visual literacy, and learn through practice about the power of prototyping and other visualizations. The elective is, as the name suggests, chosen by students (from among 35 offered), and the class size is limited. But luckily all 225 MBAs get to encounter some of this material on the Operations Mangement core course.